At Professional VisionCare, we get excited about taking care of eyes! Our team of skilled optometrists looks forward to helping you see as clearly as possible, with optimal eye health. In addition to comprehensive eye exams in our Johnstown office, we provide a full range of medical eye care services, optical care, contact lenses fittings, emergency eye care, and co-management for LASIK and other refractive surgeries. We welcome patients of all ages to benefit from our expert and friendly services. One of the most reliable ways to take care of your vision is to schedule regular eye exams – even if you haven’t noticed any problems. 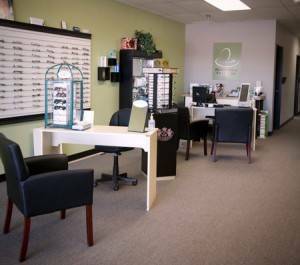 We equip our Johnstown, OH, eye care office with state-of-the-art optometric technologies, so you receive precise diagnoses and effective treatment. We will inspect your visual acuity and the health of your eyes closely. If we spot the signs of an eye disease, such as cataracts, glaucoma, or macular degeneration, our eye doctors will treat it to prevent complications and preserve your long-lasting vision. Do you have eye irritation? We offer specialized eye exams in Johnstown, OH, to check for conditions such as dry eye syndrome and computer vision, and we offer treatment to bring you relief. All of our services are personalized to meet your unique visual and lifestyle requirements. Looking for new eyewear? Check out our boutique optical to see the latest trending frames. Our Johnstown, OH, optical staff will help match you with ideal eyeglasses for your vision and fashion statement. We also offer a full range of brand-name contact lenses, including specialty types for hard-to-fit eye conditions. No case is too complex for our optometrists, and we’ll take the time to make sure your eyewear fits comfortably and gives great vision! We strive to be "not your ordinary eye doctor", meaning that not only do we care for your eye health and vision, our goal is to be a force of good for the community. Over the years we have been blessed to work with many different groups and community organizations in Johnstown. In addition to our community work, our commitment to being more than your ordinary eye doctor has been recognized when we won the prestigious Transition International Innovation Award for Patient Experience, the only private practice that was nominated for this award. Our Johnstown optical is stocked with the latest contact lens options from all the major brands. We have a comprehensive selection of daily contact lenses, which represent the advancements in daily contact lens design improving water retention, breathability, and comfort. Our eye doctors and optical staff will walk you through the variety of options explaining the benefits of each type and recommending contact lenses that fit with your needs. In addition to daily, monthly, and long term wear contact lenses, we also offer advanced contact lenses for even the hardest to fit patients. Our doctors have extensive experience fitting advanced contact lenses such as Toric lenses for Astigmatism, Scleral lenses for Keratoconus and corneal irregularities, multifocal contact lenses for myopia and presbyopia, and Ortho K lenses for myopia management and as a LASIK alternative. At Professional VisionCare in Johnstown, we are committed to a patient experience like no other. Our commitment extends to all aspects of our practice, from our technology, to our medical and routine eyecare services, and our optical products. Our team of eye doctors, opticians, and staff take the time to understand each patients needs, answer your questions, and provide the highest quality care. Our eye doctors see vision as more than 20/20, vision care to our eye doctors includes your comfort, protection from environmental and lifestyle risks, and your functional vision. Our commitment to exceptional care, without exception, translates into an office that is both fun, efficient, and that uses the most advanced technology and procedures available. We thank you for choosing us and we hope to show you why our motto is "Not Your Ordinary Eye Doctor". What’s There to Do in Johnstown, OH? Johnstown is officially categorized as a village in Licking County, OH. This area has many picturesque views and a charming small town atmosphere. If you are a wine aficionado, we recommend spending some leisure time at The Winery at Otter Creek. There is a deck set in the midst of lovely scenery, with wood tables also scattered throughout the yard. Relax here to sample and sip a variety of wines. Another fabulous winery in Johnstown, OH, can be experienced at the Autumn Rush Vineyard, which also features live entertainment on weekends. You can sit indoors or outdoors, and food trucks pull up on some nights too. Vintage shopping is done best in quaint towns, and Johnstown, OH, is no exception. Visit the boutique shop Timber Tunes to discover beautifully crafted music boxes and a unique selection of treasures. We also recommend stopping in at All Things Old Boutique, which has fantastic old clothing, home décor, and antiques on display. You’ll love sorting through the eclectic collection while talking to the friendly, knowledgeable staff. We look forward to seeing you at your eye exam in lovely Johnstown, OH! Our optometrists in Johnstown provide comprehensive eye exams for patients of all ages. Our commitment to our patients extends far beyond simply checking their prescription. Our optometrists use the latest technology to assess the overall eye health of each patient and discuss the patient's lifestyle to address potential risks and prevention. Our optometrists in Johnstown, spend time with each patient to provide the most comprehensive eye exam possible, using the latest technology for diagnosis and testing. No matter the age, you will experience a team of eye doctors that are committed to the value of treating each patient like family. Our optometrists offer an extensive selection of contact lenses for patients of all ages and conditions. 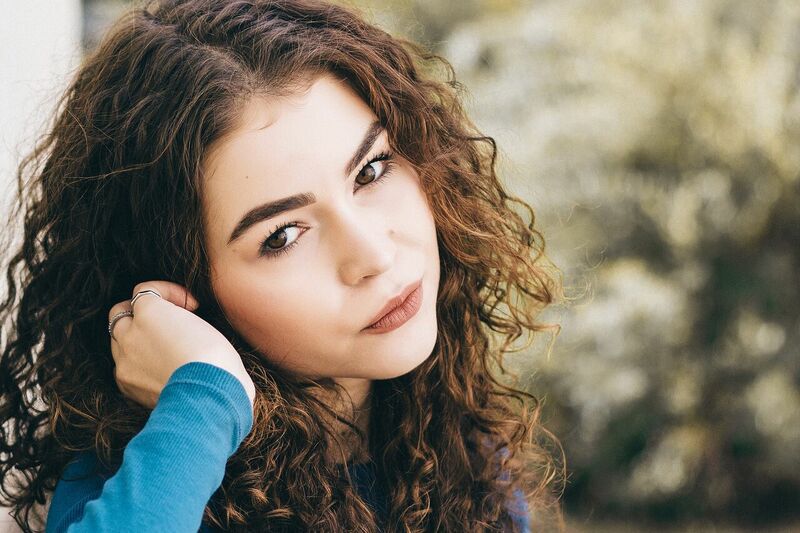 If you have had the previous discomfort with your current contacts or are looking for the latest in contact lens design, including custom lenses for Keratoconus, contacts for dry eye sufferers, contact lenses for myopia control, night time wear contacts as an alternative to LASIK, and contact lenses for presbyopia, our optometrists have the solution for you. Our Johnstown optometrists will not only assess the prescription needed for fitting you with contact lenses, they will also take the time to discuss your lifestyle needs in order to provide the best options tailored to you. If you are considering taking the step towards being glasses and contact lens free with LASIK or other surgeries, give us a call first. Our optometrists have extensive experience with the co-management of eye surgeries such as LASIK. In addition to LASIK, we also offer a LASIK alternative called Ortho K or CRT, custom contact lenses that are worn only while sleeping, leaving you glasses and contact lens free the whole day without the need for surgery or the potential for complications. Never before has the time been right for getting rid of your glasses or contacts, if you are considering surgery or surgery alternatives such as Ortho K/CRT schedule an appointment to talk to our caring and knowledgeable optometrists today. If you are experiencing an eye emergency of any kind, call our practice in Johnstown for further guidance. Our eye doctors have extensive experience and the latest technology to diagnose and treat a wide variety of eye emergencies such as eye infections/pink eye, scratches to the eye, minor cuts in the eye, stye/bumps in the eye, eye pain, things stuck in the eye, chemical spills in the eye, and much more. In many cases, our eye doctor has more experience and better technology to deal with emergency eye care than an emergency room or urgent care facility. Learn more about eye emergencies in Johnstown. Our optometrists stress the importance of proactive eye care. By scheduling eye exams as recommended by the American Optometric Association, you can prevent irreversible vision loss and keep your eyes feeling healthy and happy. Our optometrists use the latest technology to assess your eye health and help patients with Diabetes, Glaucoma, Cataracts, Presbyopia, Macular Degeneration, Myopia, Keratoconus, and other conditions to reduce risks associated with these conditions. Our eye doctors have extensive experience with all aspects of medical eyecare, including pediatric focused eyecare and vision therapy. At our Optical, we know that glasses are about so much more than just picking the first pair you see. Our experienced opticians help each patient to find a pair that matches their unique style, face shape, and budget so that you leave with a smile on your face. In addition to an incredible selection of designer frames, we will also help you navigate the options for lens coatings such as blue light protection, UV protection, and anti-glare. Because of our commitment to every patients experience, we are very selective about the frame lines we carry, choosing only those lines that meet our high standards. Learn more about our optical in Johnstown. If you suffer from dry eye symptoms such as crusty, watery, itchy, uncomfortable/painful eyes, give us a call today! 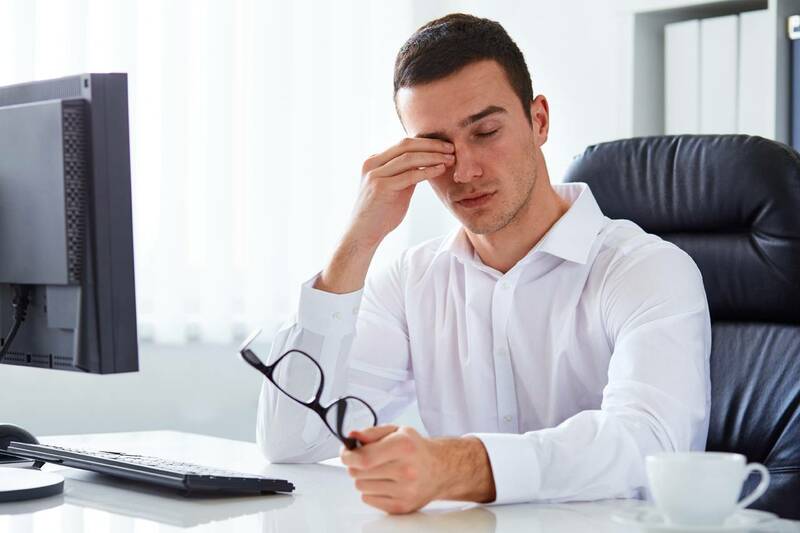 Our optometrists will assess the cause of your dry eye symptoms provide a comprehensive treatment plan that takes a holistic approach to your eye comfort. Rather than just prescribe a medication and send you on your way, our optometrists will advise each patient on lifestyle changes, prevention tips, and medication or treatment options that not only treat the symptoms, but also prevent further complications. Many patients have been told that they are just not a candidate for contact lenses. At our Professional VisionCare in Johnstown, our optometrists fit some of the most advanced contact lenses for even the hardest to fit patient. Scleral lenses are an example of advanced contact lens design, these custom lenses provide a new optical surface for patients with Keratoconus, corneal irregularities, high astigmatism, and post eye surgery complications. Sclerals unique design means that you can see better than ever, with more comfort than ever, while wearing custom contact lenses. Our eye doctors fit custom contact lenses that are worn at night while the patient sleeps. During the day the patient has perfect vision without the need for glasses or contact lenses. These contacts are called Ortho K lenses or CRT lenses, and are generally used for two main purposes. Myopia or nearsightedness in children is fast becoming a major concern for eye doctors everywhere. While traditionally optometrists would update the child's prescription and send them on their way, today research clearly shows that letting myopia progress over the pre-teen and teen years will highly increase the risk of vision loss from retinal detachment, glaucoma, cataracts, and many other serious eye diseases. Our optometrists urge parents of children with myopia to start as early as possible a myopia control program, such as Ortho K/CRT lenses that greatly reduces the risk to your child's vision, by slowing down the progression of myopia by around 50%. Many patients appreciate the option to go without glasses and contact lens, but are concerned about surgery or are not eligible. For many athletes, first responders, construction workers, and others, the option to wear contact lenses while you sleep is the perfect choice.